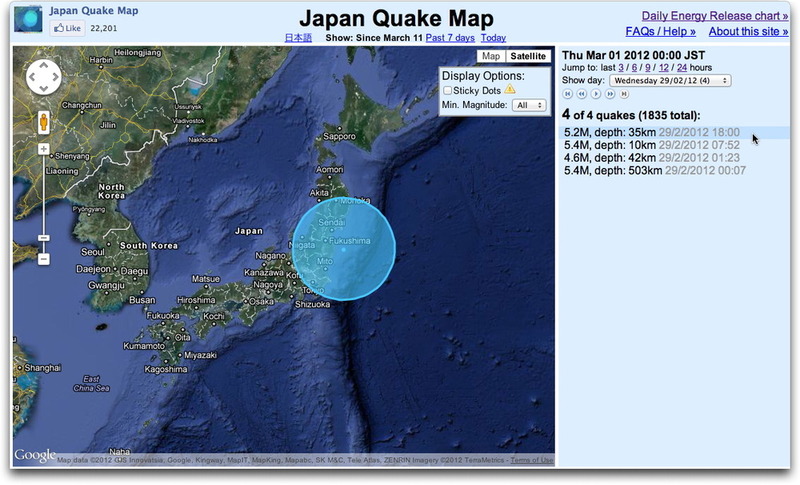 There seems to be a bit of an increase in earthquakes this week. There ended up being 7 yesterday, and there have been 4 today so far of magnitude 4 or greater, three of them being greater than magnitude 5. Two were way down south, but the other two were in the same area as usual lately: Ibaraki, Fukushima, and they could be felt in Tokyo. No damage, just annoying after over 1800 of them.